At Affordable Telephone and Security, we understand the importance of estate security for the true peace of mind you deserve in your home. We have been creating that peace of mind for our large estate customers for over 30 years. What sets us apart from other estate security solutions providers is our deep networking and telephony knowledge. In addition to custom security solutions, we design, install and support small business and private estate phone/IP networks, including all of the structured cabling needed to support high-speed communications. Since 1984, Affordable Telephone and Security has been providing cutting edge estate security solutions in Santa Barbara, Montecito, Malibu, Beverly Hills, and Ventura. Our extensive knowledge of telecom makes us uniquely suited to provide well-designed and properly cabled supporting network for your security and communications needs for both today and into the future. 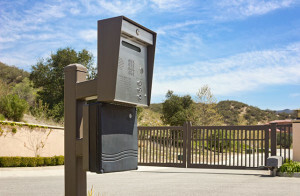 Estate security systems are more than just fancy cameras. Monitoring systems require planning, support for a variety of monitoring devices, and rely on an exceptional underlying communications network to really perform. The cabling and network are the backbone of your security system. Choose a company with expertise in all the areas of estate security and networking. Affordable Telephone and Security will build a reliable, comprehensive security system that will protect you and your property, while maintaining the natural beauty of your estate. Trust your beautiful property to a local telephony and security expert, Affordable Telephone Systems and Security. A high tech solution to your peace-of-mind is just a phone call away.